Outside of Google, Amazon and eBay own perhaps the 2 largest streams of ecommerce traffic. 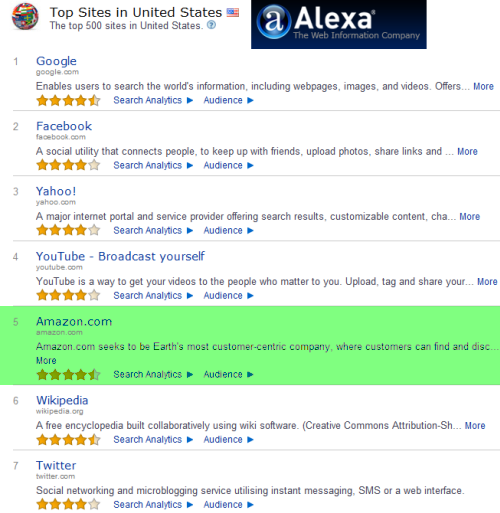 In fact, both are amongst the top 10 sites in Alexa (even though ~ 100% of their traffic is commercial while ~ 0.001% of Twitter's traffic is). In spite of Google's prominent promotion of Wikipedia, Amazon still gets more traffic. In the leak of AdWords top spenders data last June Amazon was #5 on the list. Kantar Media's research estimated that Amazon's Q4 Google AdWords spend was almost double their nearest competitor. Amazon recently started giving away a free $75 coupon for product ads on their site. You can use the following coupon to get $50 worth of free ad clicks from Amazon.com good for selling your products on Amazon.com. A lot of their customers may be used to buying on Amazon, but you don't get much more of a pre-qualified ecommerce visitor than a person who clicks on your offer who is already on Amazon.com. If you sell on Amazon.com, then even greater friction is removed from the transaction, further boosting your conversion rates. 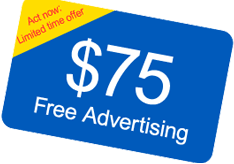 Google is also pushing free $75 AdWords coupons fairly aggressively. You can get a free $75 AdWords coupon here (or here or here or here or here or here or here) ... many options linked because some of their coupon offers expire over time & we update this page periodically. The Google Partners Program also offers coupons to consultants managing AdWords accounts. Bing Ads: Bing and Yahoo! Search expand the reach of your business to millions of monthly users. Get a free $50 Bing coupon today.